The first HOLLOWAYs to live in Porthleven were: William Alfred HOLLOWAY who was born in 1860 in Pewsey, Wiltshire. In 1871 he was living at Viaduct Cottage, Redruth, Cornwall with his parents, Richard H & Lavinia G R HOLLOWAY and his five siblings: Frederick H C, John Edwd, Charlotte H, Harold Edgar & Florence Victoria. In 1881 he was a chemist living at Viaduct Cottage, Redruth, Cornwall with his sisters Florence and Lottie and a “general servant” with the head of the household “away” for census night. In 1882, William married Emily Jane RABY By 1891, he had become “Hotel Proprietor” of the Commercial Inn, Porthleven where he was now living with his young family: 1891 Census Porthleven, Sithney, Helston, Cornwall. William A Holloway Head Mar’d. M 31 1860 Hotel Prop. born Pewsey, Wilts. Emily Holloway Wife Mar’d F 33 1858 – Scorrier, Cornwall. 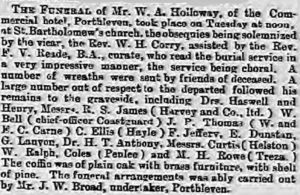 William F E Holloway Son – M 8 1883 Scholar Porthleven, Cornwall. 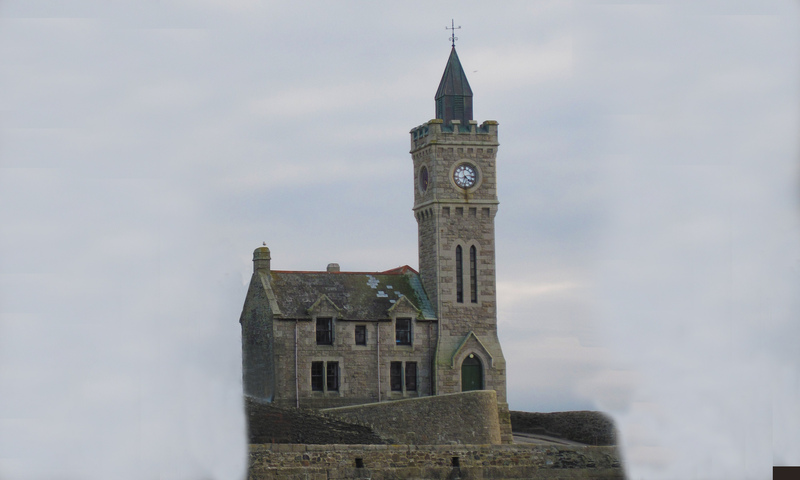 Claude G Holloway Son – M 6 1885 Scholar Porthleven, Cornwall. 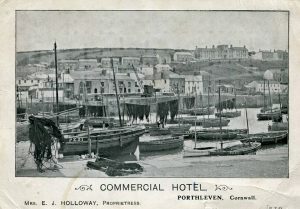 Peternel E Holloway Daughter – F 4 1887 – Porthleven, Cornwall. 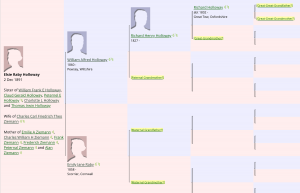 Charlotte L Holloway Daughter – F 3 1888 – Porthleven, Cornwall. Thomas Irwin Holloway Son – M 1 1890 – Porthleven, Cornwall. Elsie R Holloway Daughter – F 0 1891 – Porthleven, Cornwall. Servants & staff of the household: Annie Polglaze Servant Single Female 22 1869 Gen Servant Cook Porthleven. Mary Jane Bray Servant Single Female 17 1874 Gen Housemaid Porthleven. Charlotte A Russell Servant Single Female 20 1871 Gen Waitress Porthleven. Grace Hosking Servant Single Female 13 1878 Gen Kitchen Maid Porthleven. After the death of William, his widow carried on the business. Mrs Emily J HOLLOWAY died in 1937.